Kinzler Construction Services is already operating crews out of their new Cedar Rapids location. 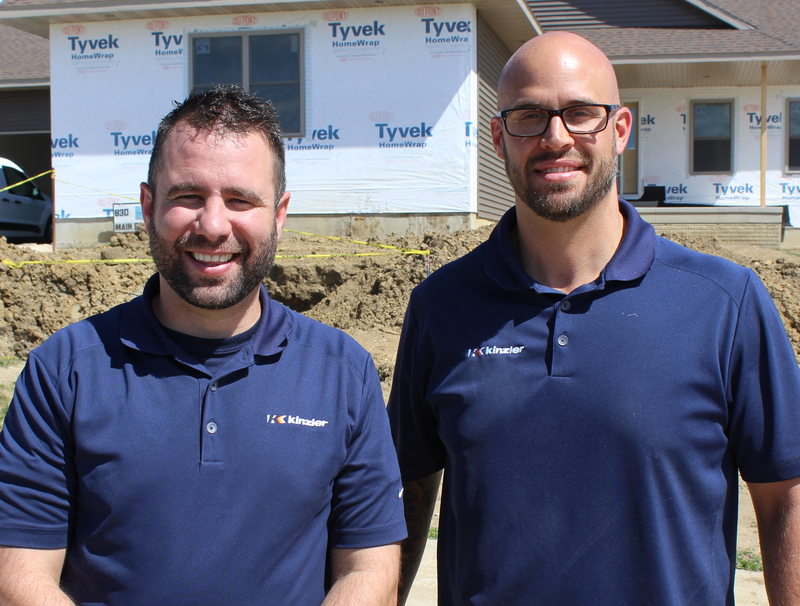 Pictured at a local jobsite is General Manager Craig Coder (left) and Sales Representative Nick Hlas (right). Kinzler Construction Services, an industry-leading insulation installer and construction supply distributor, is expanding in eastern Iowa with a new location at 6415 6th St SW in Cedar Rapids to better serve our customers. With the new branch location, Kinzler intends to add 50 or more new jobs to the Corridor in coming years. Learn more about open positions and apply. Recognized as an industry expert with a reputation for superior service and innovation, Kinzler Construction Services installs insulation, fireproofing and gypsum concrete underlayment for commercial, residential and agricultural builders and homeowners. In addition, Kinzler distributes a full line of B2B construction products for contractors, including drywall, steel, acoustical ceiling tile, EIFS and more. For a complete list of Kinzler Construction Service’s products and services, please visit www.insulation.net/products.